Gun violence in Stockton continues to be a hot-button issue. 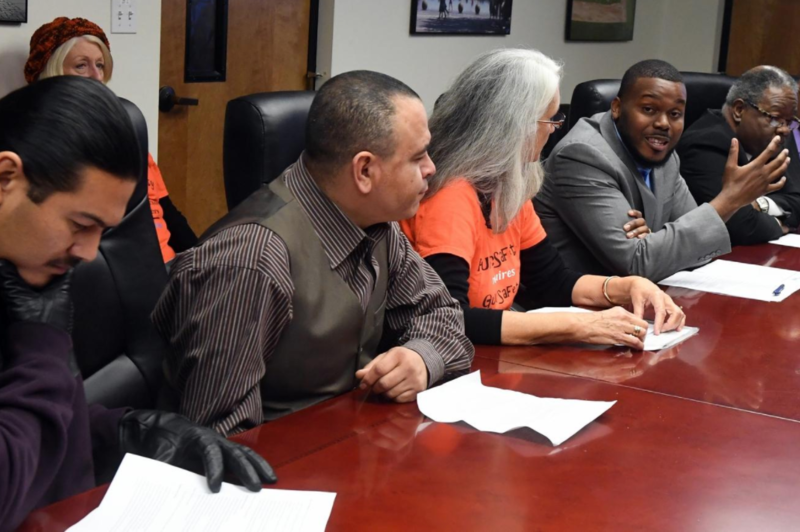 It’s guaranteed to take center stage tonight when the City Council will be asked to consider a resolution supporting a four-year partnership with Advance Peace, a crime-reduction program that has shown some promise in Richmond, the East Bay city where it was first introduced. The program has riled some residents who believe mistakenly that Advance Peace is publicly funded and pays criminals not to commit crimes. 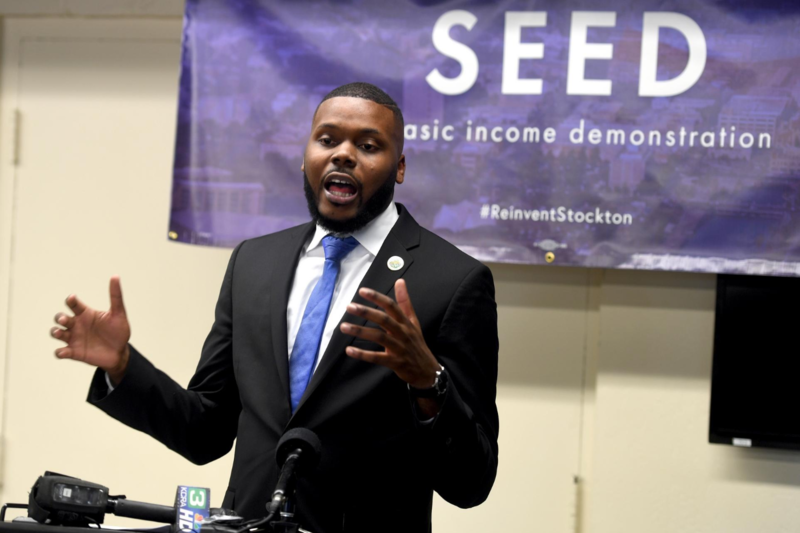 Mayor Michael Tubbs said that couldn’t be further from the truth. “This program is not taxpayer funded, but you want to know what is? Homicides. Every shooting costs the city about $400,000 between investigations and courts and incarceration. And this program costs the city nothing,” Tubbs said during a City Hall news conference Monday morning where he was joined by a variety of organizations supporting the initiative. “The status quo is unacceptable. I refuse to live in or be a mayor of a city with 55 homicides (in 2017) or 49 (in 2014, 2015 and 2016). And I will do everything in my power to ensure we are constantly thinking of what can we do to make sure the city of Stockton is safe. “Understanding that is a long-term proposition, but it starts in the short term. If we don’t have any short-term gains, we won’t have any long-term gains,” Tubbs said. The basic idea behind Advance Peace is to disrupt gun violence among the most likely perpetrators. The mayor said the majority of violent gun crime is committed by less than 1 percent of Stockton residents. Police have identified between 86 and 120 individuals who are out on the streets now but for reasons such as lack of evidence they cannot be arrested or convicted. Advance Peace consists of an 18-month program that reaches out to these individuals, providing multiple interactions every single day seven days a week through mentors who give them an opportunity to turn their lives around, according to the program outline. The program will initially focus on 50 individuals, called fellows. Each fellow will be assisted in setting up goals for their future, called a “Life Map.” As they achieve goals on their Life Map, they become eligible after six months for a stipend ranging between $1 and $1,000, with the average between $300 to $700 per month. Widespread support for Advance Peace was evident at Monday’s presser with the appearance of Vice Mayor Elbert Holman and representatives from groups including the NAACP, Cleveland School Remembers/Brady Campaign to Prevent Gun Violence, Fathers and Families of San Joaquin, Victory in Praise and Faith in the Valley, and Black Women Organized for Political Action. Letters of support were also provided by the Stockton Heat Hockey Club and the San Joaquin Pride Center. 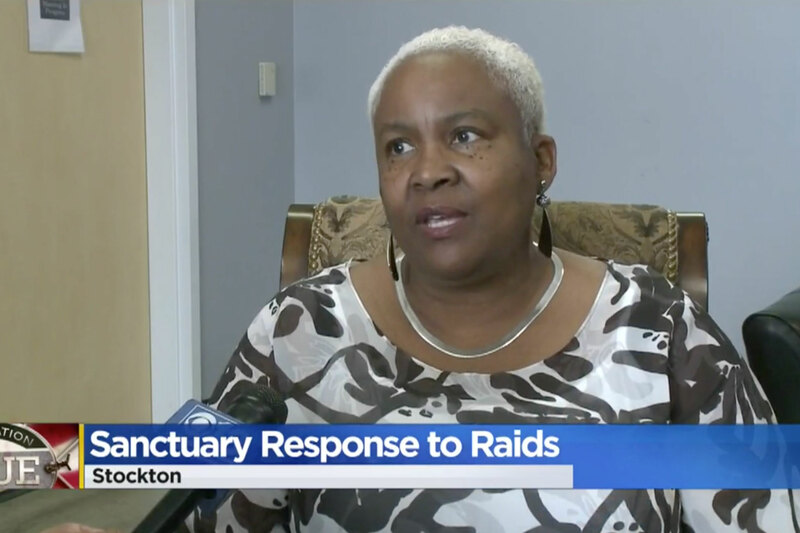 Stockton city leaders are working with community groups to come up with a response to deal with the raids and help people understand their rights. “We are asking people, don’t give false information either, it’s better not to say anything, don’t try and change your name, for sure we don’t want you to try and run, any of those things. 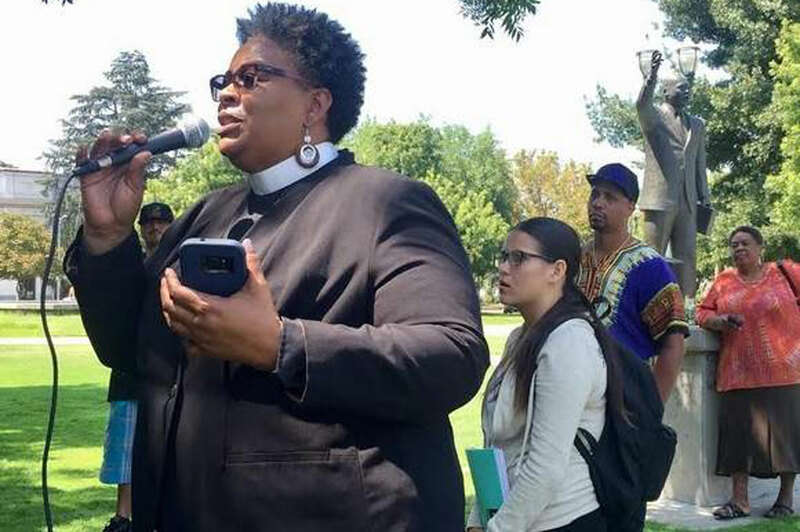 We just want to make sure you remain silent until you get an attorney,” said Pastor Trena Turner, executive director of Faith in the Valley.